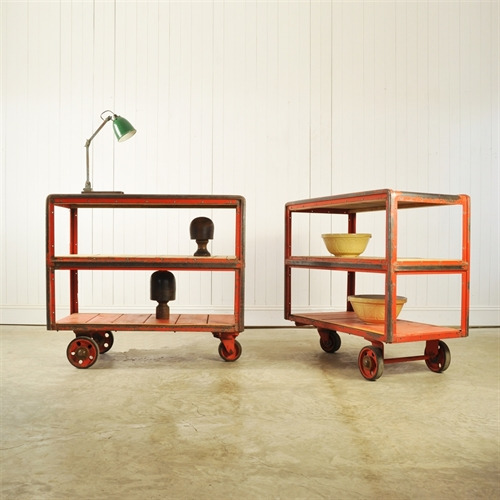 Polish Factory Trolleys - Original House – Decorative Antiques, Vintage Industrial Furniture and Lighting, Cotswolds. These will certainly brighten up a space - what a fantastic colour ! 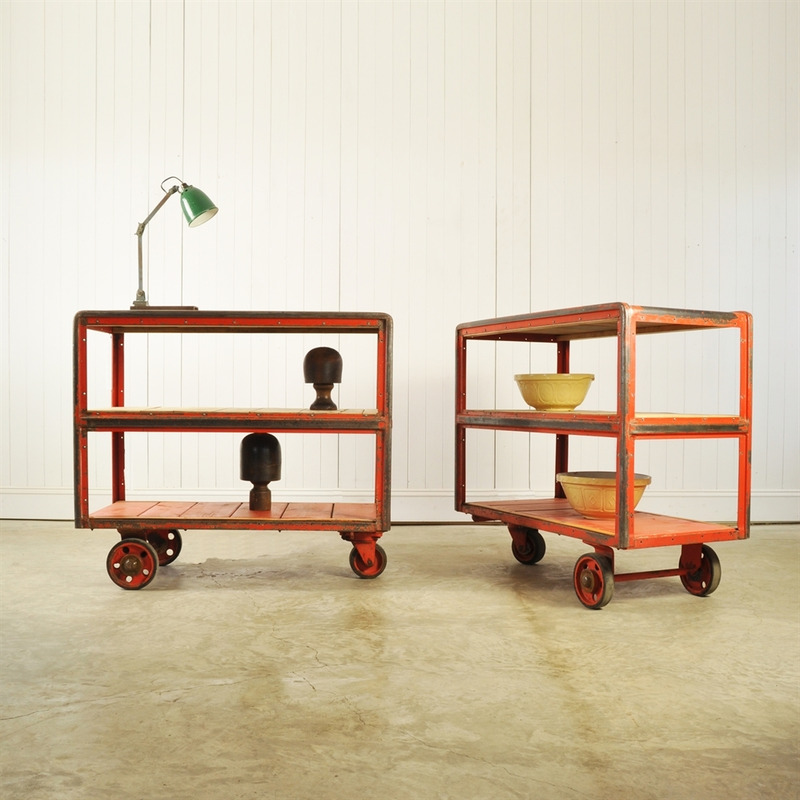 Circa 1960 these trolleys were used in a factory in Poland. Excellent condition, extremely sturdy - these have been given a very good clean and are ready to be used. Some natural patina and knocks to the original paint. Perfect in the Kitchen or as a waiter station in a restaurant. 98 cm h x 112 l x 55 d.
1 available, priced and sold individually.